With over 20 years’ experience in PCB assembly, RSP is the perfect one-stop shop for small, medium, and large volume production. Established companies in the industrial, consumer, IOT, and medical industries. With RSP, you get PCB components procurement and assembly all in one. We work with many types of assemblies, including rigid, flex, and combination rigid/flex. Bobbins with ribbons for chips. Pick and place machine. 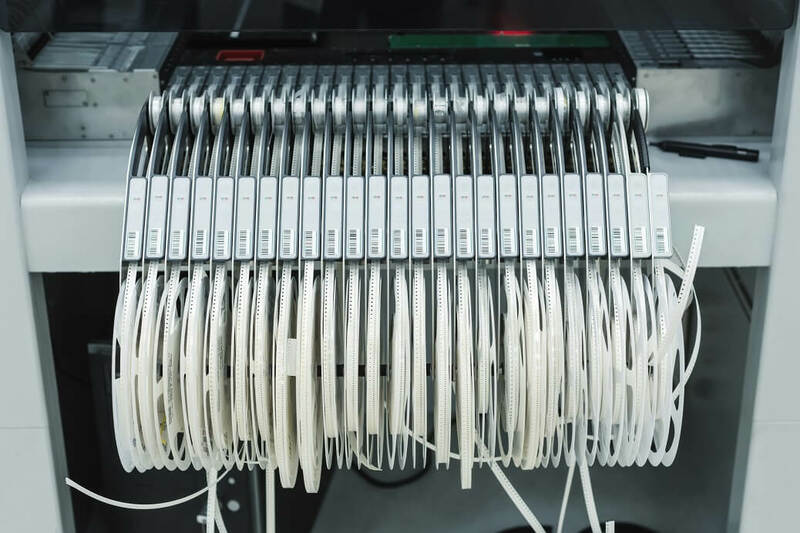 The majority of electronic products require surface mount components, so the bulk of the PCB assembly is completed in the SMT department. The SMT department includes solder paste inspection, SMT placement (pick and place machines), oven and heating technology, automated optical inspection, and component storage solutions. Conformal coating and potting services provide protection for printed circuit board assemblies in harsh environments and defend against dust, moisture, chemicals, and extreme temperatures. Conformal coating can be applied by hand or machine depending on the requirements. 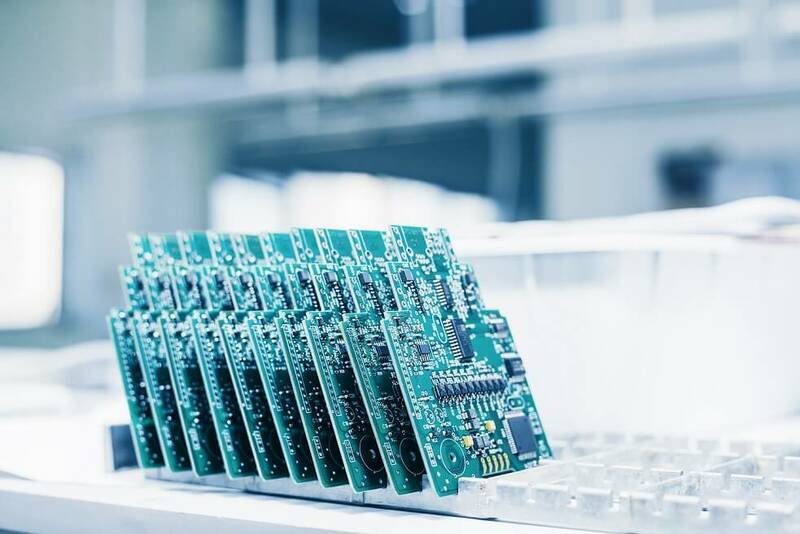 By being electrically insulating, conformal coating maintains long-term surface insulation resistance levels (SIR) and thus ensures operational integrity of the board assembly. In order to meet multiple demands and designs, RSP works with wave soldering for single-sided assemblies, selective soldering for double-sided board assemblies and added flexibility, and hand soldering to accommodate special wires, batteries, components, and space constraints. Testing is essential for any electronic assembly manufacturer. RSP utilizes flying probe testing and functional testing, and can design and build automated functional test fixtures. As a custom contract turnkey manufacturer, RSP is able to offer extensive assembly and box build services. Our team works closely with clients to develop detailed assembly and work instructions to ensure the build is successful every time. And our assembly lines and assembly cells practice lean manufacturing for effective and efficient results. RSP has been a trusted manufacturing partner of thousands of clients for over 55 years. Call us today to see how we can help you!